Mint Window & Door Solutions offers a range of door and window systems that combine ground-breaking technology and materials with timeless design. Thanks to a partnership with Deceuninck, we have been able to bring innovative and sustainable solutions to homes with our uPVC windows and doors in Sydney. uPVC stands for ‘Unplasticised Polyvinyl Chloride.’ It is also known as rigid PVC because it is quite hard and sturdy. This material is also very safe, as it doesn’t contain any phthalates or BPA. uPVC is used for anything from mouthguards to plumbing, so you know that it is durable enough to be used as window and door frames. Our uPVC windows and door frames are very sought after for many reasons. The main one is that the material is incredibly durable and long-lasting, with an uncanny ability to stand up to the harsh Australian climate. uPVC isn’t fazed by salty air or UV rays, bush fires or scratches. It never warps, fades, cracks or scuffs, and it is incredibly low maintenance. 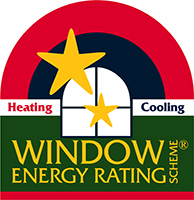 uPVC windows are also a great benefit for the Australian who wants to build a sustainable home. uPVC doors and windows have thermal and sound insulation properties, which will help you to keep the heat in during the winter and out during the summer, saving you on electricity bills and ecological costs. In addition, since our uPVC products are so long-lasting, you won’t have to worry about the environmental impacts of manufacturing replacements. Our PVC windows and PVC doors in Sydney provide years of quality service, after which they can be fully recycled. Making the ecologically responsible choice about your window and door frames doesn’t mean that you have to sacrifice any style. On the contrary, our uPVC products are designed to fit beautifully into your contemporary or traditional home. They come in a range of nature-inspired colours, as well as in a number of configurations, from sliding to bi-fold. Interested in learning more about our uPVC products? Get in touch with us today by calling 02 8315 4374, or get a FREE online quote now. Or ring 0450 310 131 to discuss your requirements.